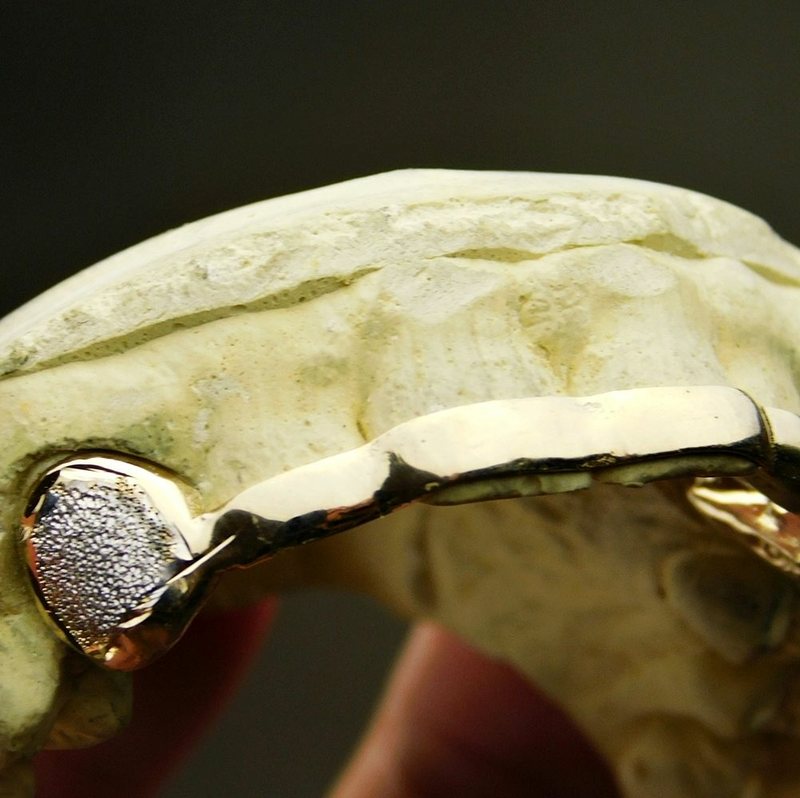 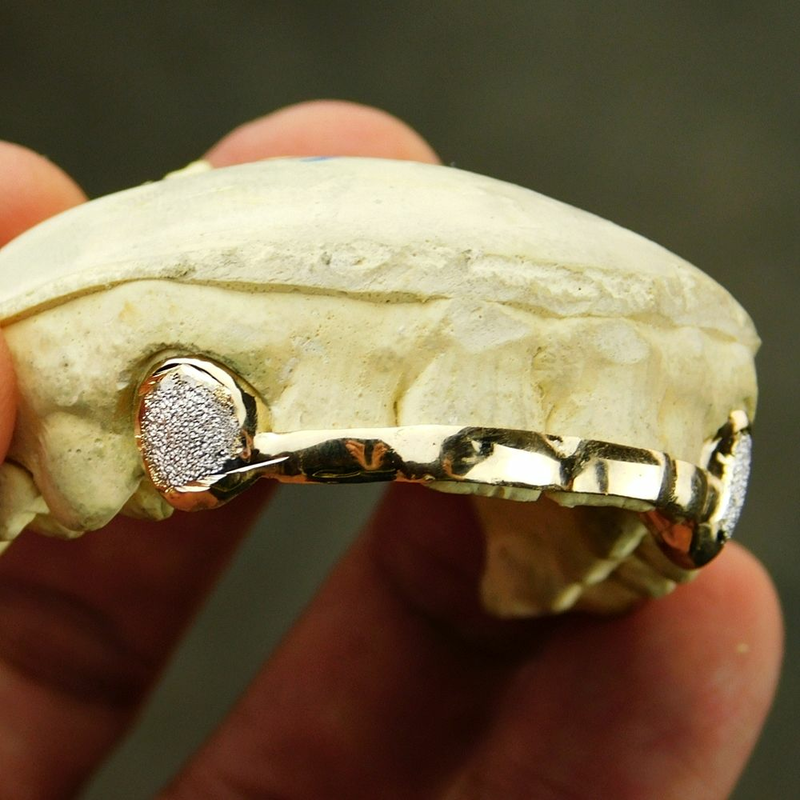 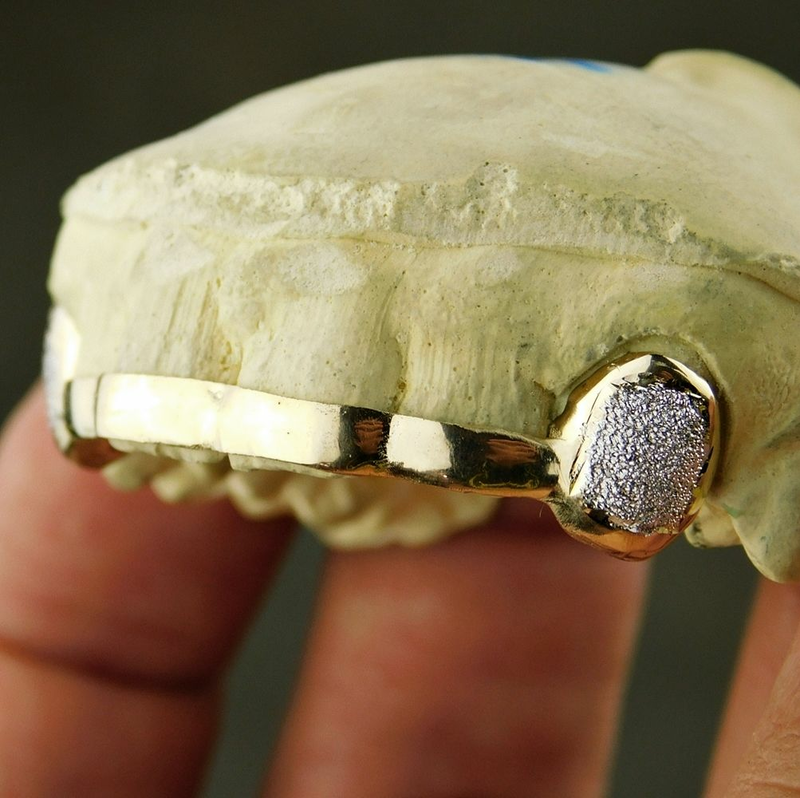 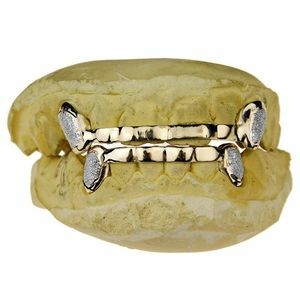 14K solid gold K9 teeth bar grillz. 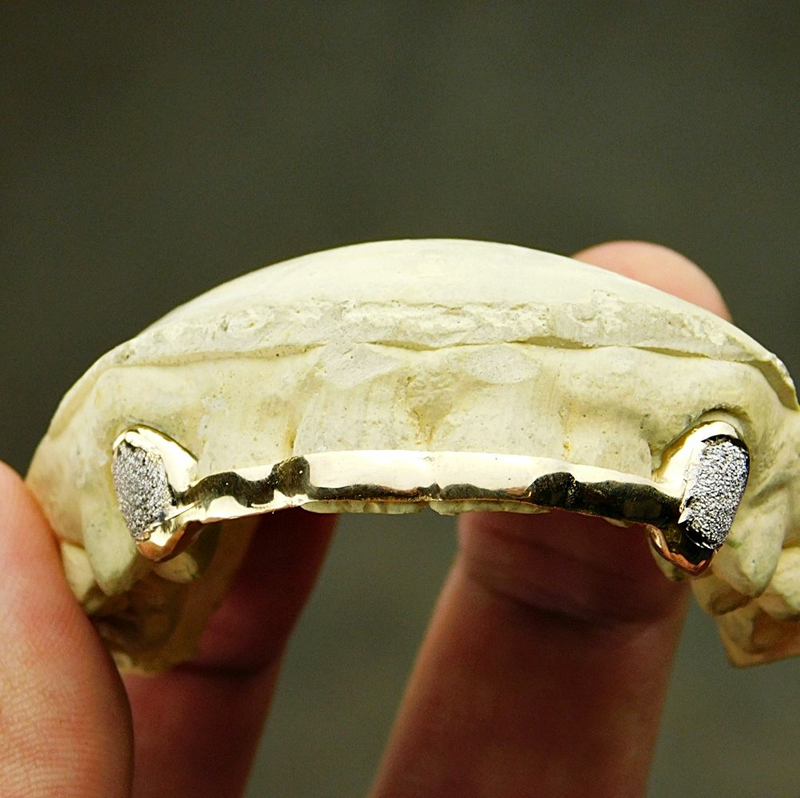 Regular tooth caps - these are not pointy. 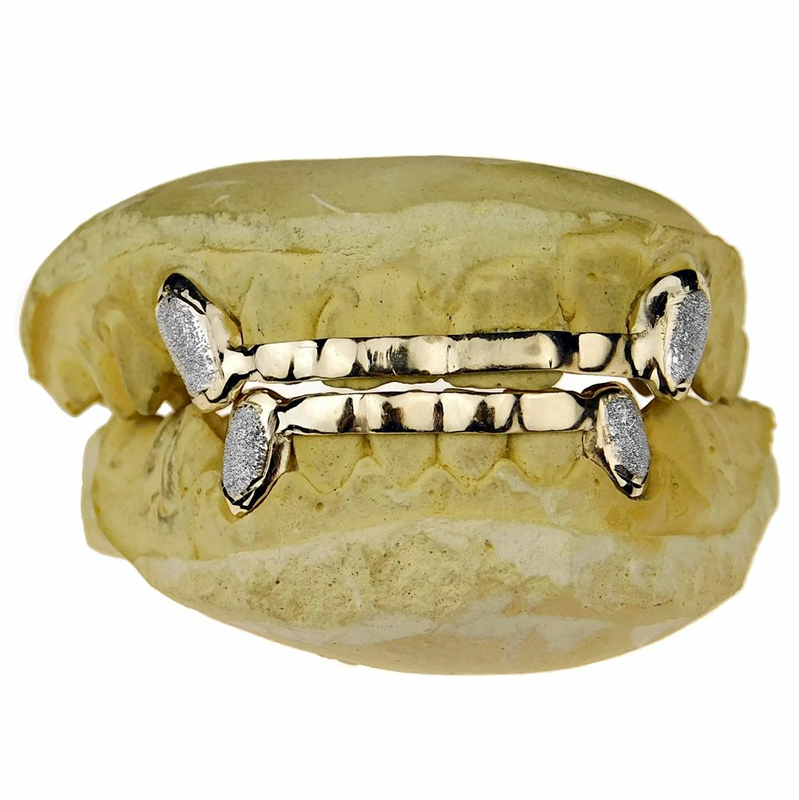 Grillz do not contain actual diamonds.